94% want permits for bottled water eliminated. 90% want greater enforcement and penalties for corporations breaking environmental laws. 88% want environmental, Indigenous and labour rights to be protected in trade agreements. 86% want Ontario to explicitly recognize the human right to water and to prioritize community access to water over industrial uses. 78% want to prevent the privatization/sale of municipal hydro utilities. 77% want the rights of Indigenous peoples to free, prior and informed consent to be honoured. 76% want the province to enact a “Housing for All” strategy that increases the supply of affordable housing and commits to eliminate homelessness. “We have more than 60,000 supporters across Ontario and more than 3,000 supporters in several key ridings,” said Rachel Small, Ontario Organizer with the Council of Canadians. The survey closed with the drawing up of writs for all 124 ridings across Ontario on Wednesday. 95% of respondents stated they had voted in the 2014 provincial election – far higher than the province-wide voter turnout of 52% in 2014. 98% of respondents stated they will vote on June 7. 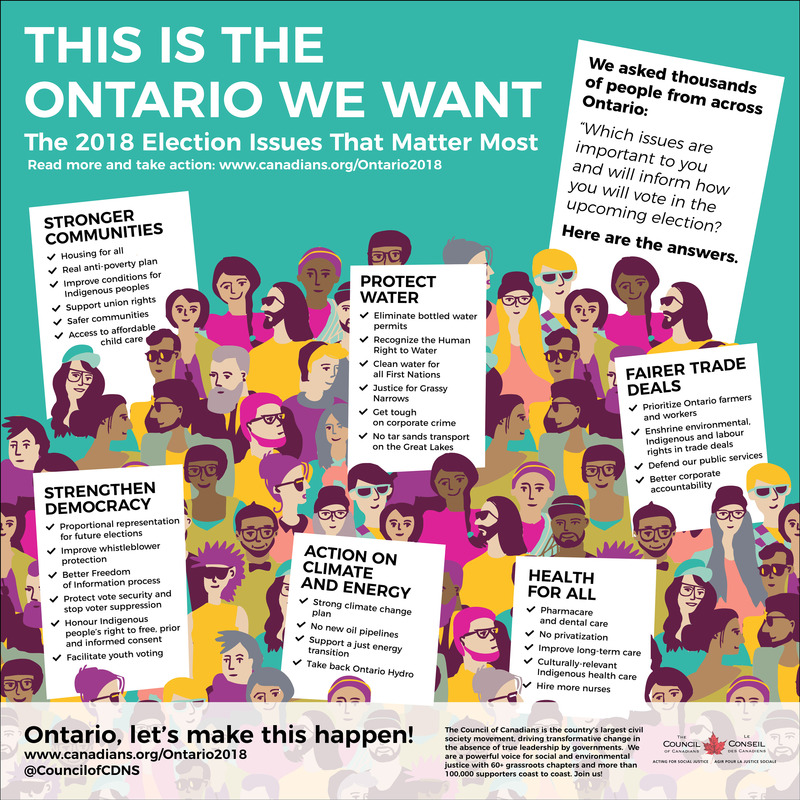 The full survey results are available on the Council of Canadians’ Ontario Election webpage at https://canadians.org/Ontario2018. The Council will be rating the platforms of the four main provincial political parties and reporting the results back to its Ontario supporters before advance polls open on May 26. 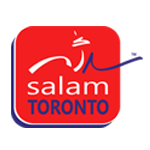 The organization also has 17 grassroots chapters in Ontario and many are organizing local “all candidates” debates. The Council of Canadians is a non-partisan organization which believes in active citizen involvement in the electoral process. While the Council does not endorse candidates, parties or holders of public office, the organization may support positions taken that are consistent with its goals and mission.